The Bilston stations (West and Central) have caused me more problems than any other so far in the production of this website. For Bilston Central the problem was that according to various sites regarding the Midland Metro, the current Bilston Central Metro stop is built on the site of the old Bilston Central station. My first visit to the site located the station a few hundred yards down the tracks from the current Metro stop however, and I had to spend some time rechecking map coordinates with several OS editions and running them through a current day coordinate map finder from which I concluded I was right in the first place and thus have had to revisit the site. 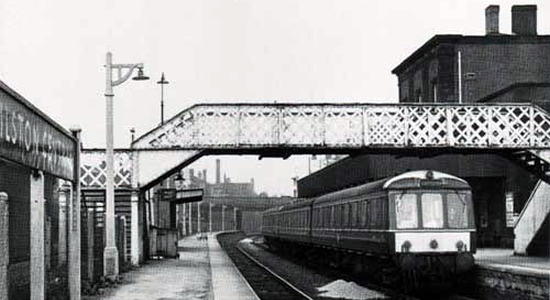 The picture above shows the former GWR station in 1966 (photo: A.Muckley) - the Midland Metro stop is just through the bridge in the distance which carries what is now Hall Drive. 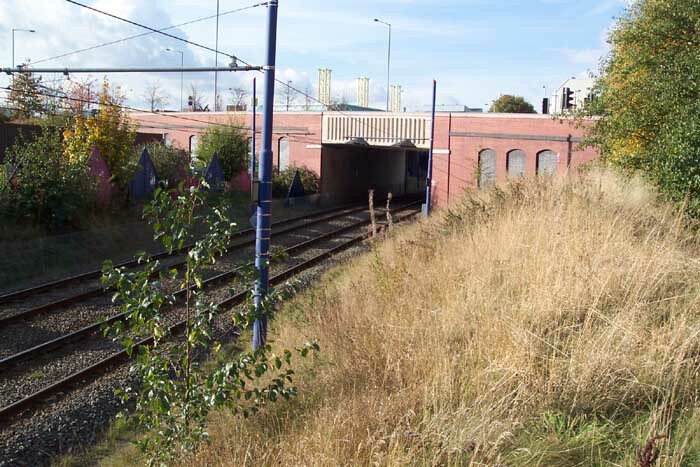 However, in the present day, our old friend the Black Country Route has crossed the line with a dual carriageway which with regard to the above image bridges the trackbed roughly at the rear end of the DMU. 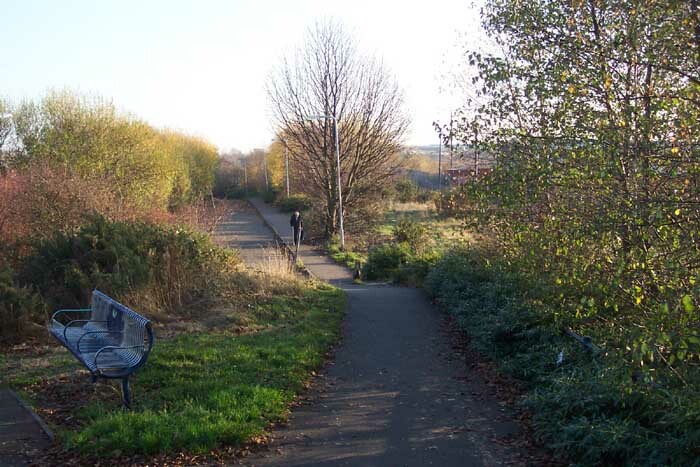 Above-left we are on the Black Country Route looking down the now truncated Railway Drive in the opposite direction to the 1966 photograph - the station occupied all the land to the right of the path. Above-right we are at the other end of Railway Drive with the station site ahead and to the left. 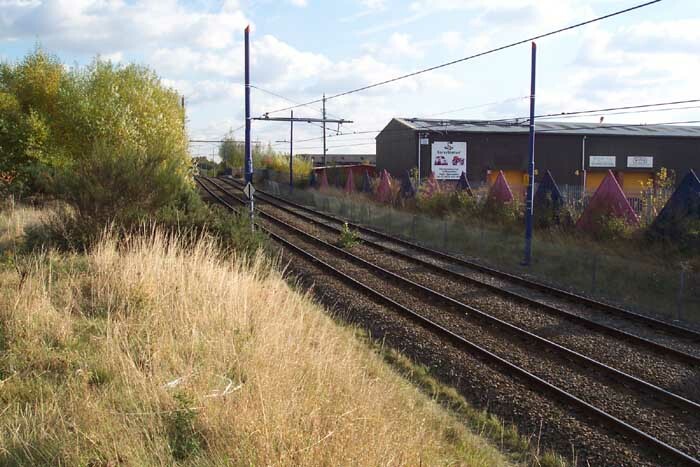 Above-left we are on the 'platform' at which the DMU once stood roughly around the area of the station building but looking in the opposite direction towards Bradley. Above-right we are in the same spot as the previous image but looking in the same direction as A.Muckley in 1966. 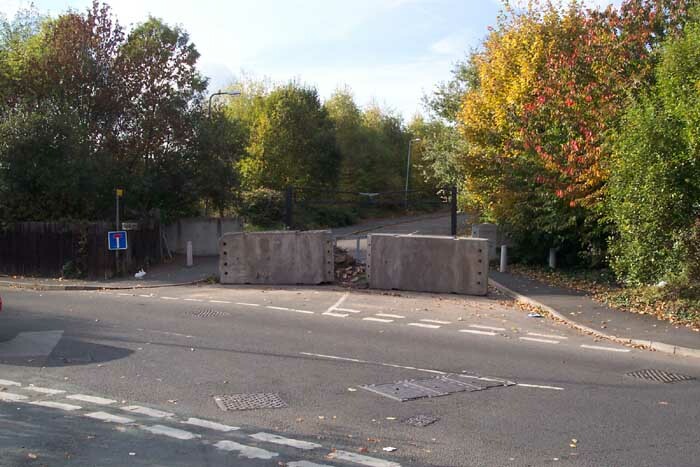 The road bridge is for the Black Country Route and obscures the bridge seen in the 1966 photograph (which can be seen on the page for Bilston Central Metro stop). It appears that the area was cleared several years ago but no one quite knew what to do with the station area so they just blocked-off the access road and left it to grow-over.